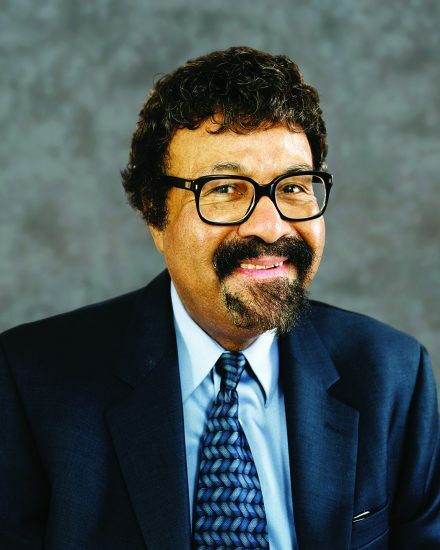 David Baker was such an outstanding musician, bandleader and composer that it took me a year or two to get up the courage to ask him for a lesson. But what a lesson it was. It was the beginning of my real jazz education. I recall him accompanying me on piano while I played “I Remember April” in the living room of his house on Burdsal Parkway in Indianapolis. After we played for a few minutes, he stopped me and said I was playing pure minor instead of Dorian minor in bars five, six, seven and eight. He told me to raise the sixth, and I had no idea what he was talking about. He quickly got me straightened out on that wrong note, and it was no looking back. I didn’t even know what questions to ask, but his ears were so good and his demeanor so friendly that I couldn’t help but learn from him. I was amazed he played piano and bass in addition to trombone, his main instrument at the time. And then he took up cello! He eventually asked me to play some jobs with him and that was a real treat. I learned so much, and the way he approached the music was always professional. At the time he had a big band, and they would occasionally play at Indiana University for a dance or concert. That’s where I first heard him and thus became aware of his writing abilities. I thought his band sounded like Dizzy Gillespie’s that I’d heard on LPs. Wow! This guy is the real thing and I’m getting to study with him. He wrote for various musical combinations but his jazz tunes were what I loved most. Having worked and studied with George Russell, David would try harmonic and melodic things out on his students, including Mike and Randy Brecker and myself. David was always searching while playing his instrument and teaching. It seemed like his mind never stopped, and this impressed me very much. To this day, I seem to do this myself. I don’t think you can wear out your mind, and I learned this from David. His ears were sharp too! We were constantly exchanging ideas about scales, chords and harmony in general. When his first book, Jazz Improvisation, came out, I began offering it along with the play-a-longs through my little classified ads in DownBeat. That book helped get the jazz-ed movement going. He had so much knowledge and loved sharing it. David was one of the very first jazz educators. Throughout the 1960s our jazz combo, with David on cello, played various school programs. That cello reverberated off the gym walls in schools all over southern Indiana, and probably made some kids think about playing cello instead of sax or trumpet! I suspect many of those kids had never heard jazz, let alone seen a black man play the music on cello in their school gym or auditorium. David helped break barriers in those early jazz-ed days. David was a mainstay at my Summer Jazz Workshops for more than 45 years. He always taught the highest combo and the advanced theory class. His students loved him, and his way of teaching was so infectious. He would begin with his 8:30 a.m. theory class and stay all day, working with students who came from around the world to receive his knowledge and encouragement. We miss him dearly. David was an inspiration to thousands, and his memory will live on forever in jazz.